Muse have revealed their new single will be released on Thursday (15.02.18). The rock trio - comprised of Matt Bellamy, Chris Wolstenholme, and Dom Howard - took to Twitter on Tuesday (13.02.18) night to reveal their new single, entitled 'Thought Contagion' would be released later this week. It comes just days after the band posted artwork featuring bassist Chris Wolstenholme on their Facebook page, with the caption simply reading: "#ThoughtContagion (sic)"
'Thought Contagion' will be the first new material released by the band since their one-off single 'Dig Down' in May last year. Previously, frontman Matt Bellamy revealed the band were planning to put out "at least another three songs" ahead of their eighth studio album, which when released will serve as the follow-up to 2015's 'Drones'. He said: "The good thing is we're gonna put out songs like 'Dig Down' ahead of the album. We're going to put out at least another three songs ... or even more ahead of the next album coming out. "People are going to see into the creative process as we're writing and recording the songs, and we're going to put them out quite soon after. "Even though the overall album will be a long wait some of the songs are going to be available way ahead of that." Meanwhile, the band also revealed last year that they have been working on a remastered boxset of their earlier material. 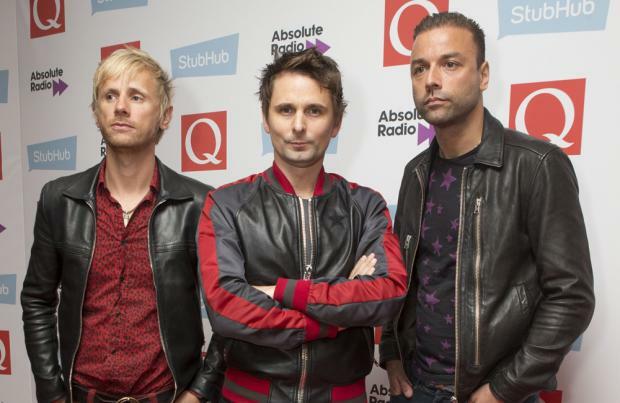 Drummer Dom Howard said: "We're putting together a book with some remastered vinyl. We remastered the first two albums 'Showbiz' and 'Origin of Symmetry'. We're putting together a package with a lot of historic content. Bits and pieces like photographs, music and some really old demos. All sorts of old stuff that basically attempts to tell a story from where we started as a band when we were kids in school to 'Origin of Symmetry'."